UPDATED: Sun., March 11, 2018, 8:34 p.m.
Brian Perks and Rachel Gilmore sat on a park bench Sunday afternoon, munching their strawberries and pineapple in the toasty afternoon sun. It was the couple’s first picnic of the year. Yards away, the frigid water of Mirror Pond in Manito Park was solid and unmoving – perhaps a message from Mother Nature that while a dayslong stretch of balmy weather had coasted over the Inland Northwest, don’t get used to it, because it’s not sticking around past Tuesday. Weather service meteorologists predict the springlike weather that began Saturday will carry into midweek, when temperatures will peak Tuesday in the upper 50s and lower 60s. In the evenings, thermostats will drop well below freezing and into the mid-20s. By Wednesday, the warm stretch will end, as temperatures are expected to drop down into the mid- to upper-40s, which is more on par with a typical Spokane spring. Fox said March usually averages highs of 40 degrees and lows of 32 degrees. Across the city, people took advantage of an abnormally cozy weekend and flocked to the outdoors. Parks were full, ice cream was consumed and sunglasses were sported. Perks and Gilmore, who live on the South Hill and consider themselves outdoorsy, were already looking forward to planning spring activities. “We were just talking about going to the lake, actually,” Gilmore said. “I think this is going to be a really nice spring,” Perks added. According to climatologists, that might not be the case. 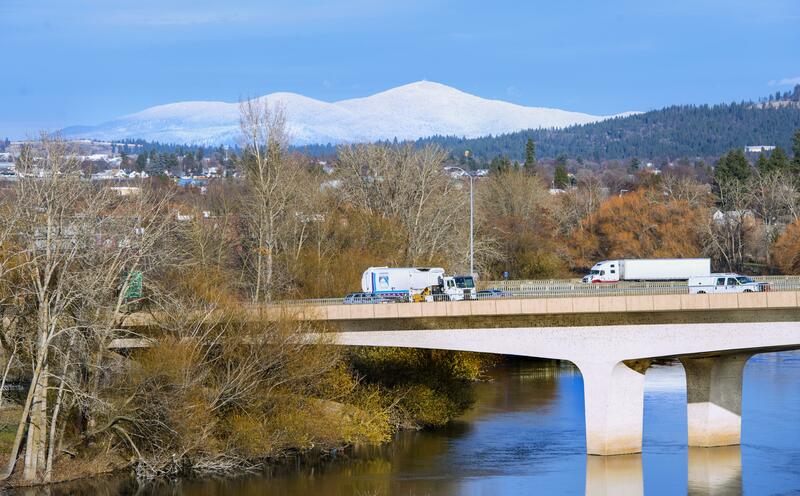 Fox said the latest predictions had March, April and May trending below average temperatures, with a better than 50 percent chance that Spokane sees higher-than-normal precipitation. Published: March 11, 2018, 4 p.m. Updated: March 11, 2018, 8:34 p.m.